PREHISTORY contains the period without written history. 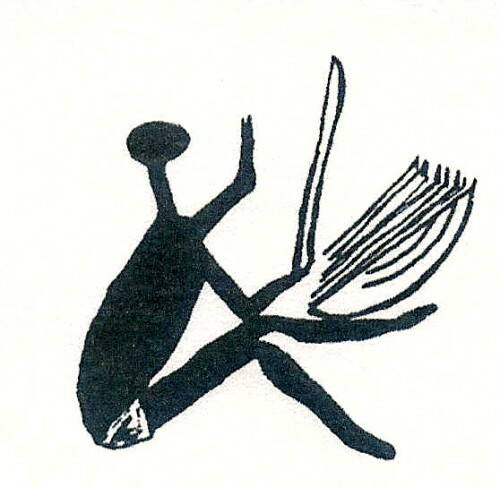 A cave-painting in the “Trois Frères” cave in France dating from about 15,000 years ago. The magician-hunter plays the musical bow. 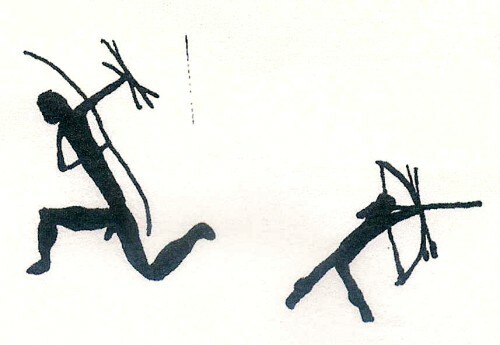 Drawings in the Valltora cleft [South-Africa] show Bushmen, the San, having different types of bows. One to hunt and one to make music. The players knew that strings with different lengths had different tones. Putting several bows together one could play more tones. After that they put the different strings on one soundboard and so they got the Pluriarch [multi-bow]. 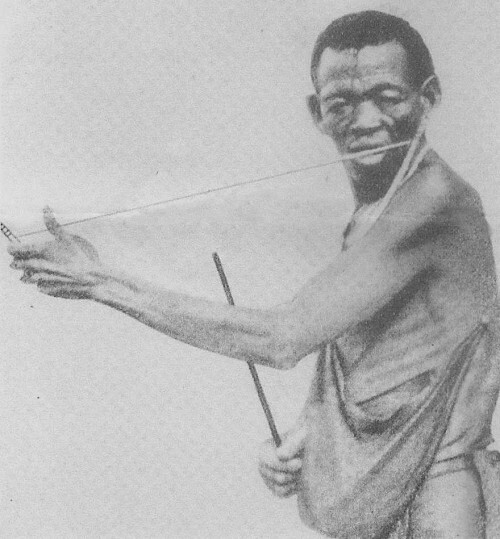 A Bushman in our time playing his pluriarch. 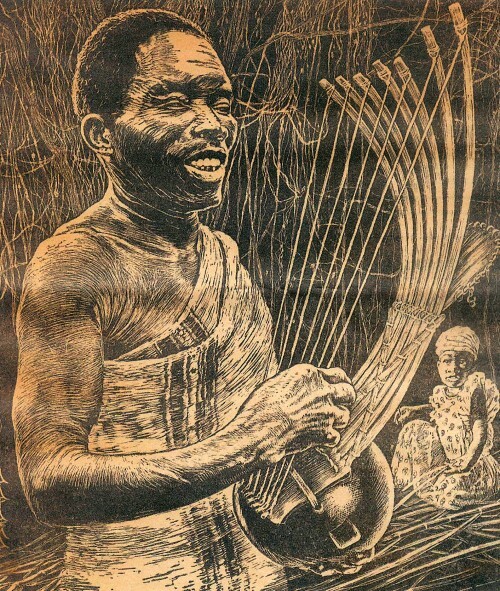 The real harp, one bow with soundboard and more than one string was probably invented before historic times, but we only know about these instruments after people could give a written account of their society. The first and perhaps the oldest harp was the bow harp or arched harp. There are three types of harp: the arched harp, the angular harp and the frame harp. Arched harp and angular harp don’t have a pillar, the frame harp with a pillar is a closed triangle.